Where in the World is Mrs. Fucoloro? : Authentic Find! Wow! Typically, we find Maine plates on semi trucks, but today, we actually spotted an authentic plate, lobsters and all, on a car! Not worth any more points, but pretty impressive, nonetheless. See attached that I nabbed tonight parked on the street in Escondido. One of the fearsome fivesome for me. Cha-ching!! Awesome find, Team Cange! Don't know how many plates you have, though. Okay, time for the big reveal! Drum roll.........Team Debbie has 38 plates! Team Parkinson inexplicably says they are too busy hemming prom dresses...what? 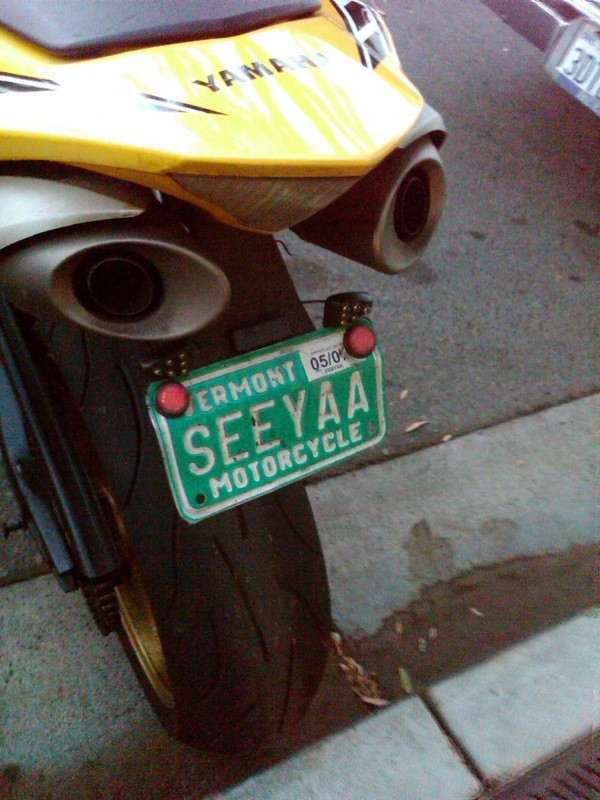 Who is too busy to play the License Plate Game? I'm kind of surprised Team Parkinson didn't petition to postpone the game until all prom dresses are hemmed! I guess this means they have found zero plates???? Team Loretta had 30 plates on May 28th. Team FastBuicks has found 35% of the plates as of May 29th. The other teams have yet to report their numbers. Hmmmm. A little worried about the silence or as Team Cange said, "crickets, crickets, crickets." How many plates does your teams have? Inquiring minds want to know! Happy hunting and safe driving!